For those women with the longest of legs out there, finding 38" to 40" inseam jeans is typically no easy task. But, because wearing the right length in a pair of jeans is super important, let me help you out. Below, you will come across some great examples of extra long denim. Or, check out my directory of stores selling 38" inseam, 39" inseam, and 40" inseam styles. What you will find are chic, trendy ladies jeans that are sure to make your beautiful long legs look even more spectacular. Denim styles include boot-cut, flare, straight leg, and skinny fashions. Although these hard-to-find super long inseams are only going to be sold online, you've at least got the options, right? Enjoy your new-found shopping pleasure! 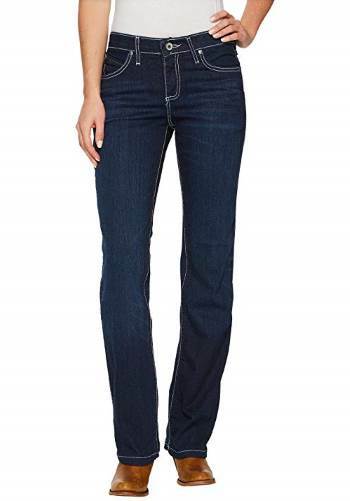 TALL TIP: Long Tall Sally will have your best selection of 38" inseam jeans. And right now, get Free Shipping on orders over $30! Also, at eShakti, you can customize a pair of denim to your height. Alloy Apparel ($) Offers a few select pairs of trendy 39" inseam jeans. Also carries other fashionable styles of in their Tall Shop. Plus sizes are available. Long Tall Sally ($$) Tall specialty clothing store where you will find jeans and pants in 34" to 38" inseams and also tops, dresses, suits, coats, activewear, sleepwear, swimwear, and maternity. Extended sizes are available. You can shop online or at their retail locations in the U.S., the U.K., and Canada. eShakti.com ($$) Customize a pair of jeans using your own measurements to get the exact inseam you need. You can also choose from a number of different design options, such as type of pocket and length style. Simply Tall ($$) Tall shop offering long ladies jeans and pants in 37" and 39" inseams. Also offers tops, jackets, activewear, and businesswear in long proportions. Plus sizes available. Gap ($$) Variety of trendy long size jeans and pants in up to 37" inseams with select styles in 38" inseams. 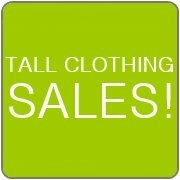 Also offers tops, dresses, skirts, coats, and maternity in their Tall section. Shop online or at retail locations. Sheplers ($) Ladies western wear denim in 34", 36", and 38" inseams. Select the Long Inseam Jeans option under the Shop by Fit section of Women's Jeans. Cabela's ($) Casual, outdoorsy shop offering a few select denim pairs in 38" inseams. Extended sizes are available.